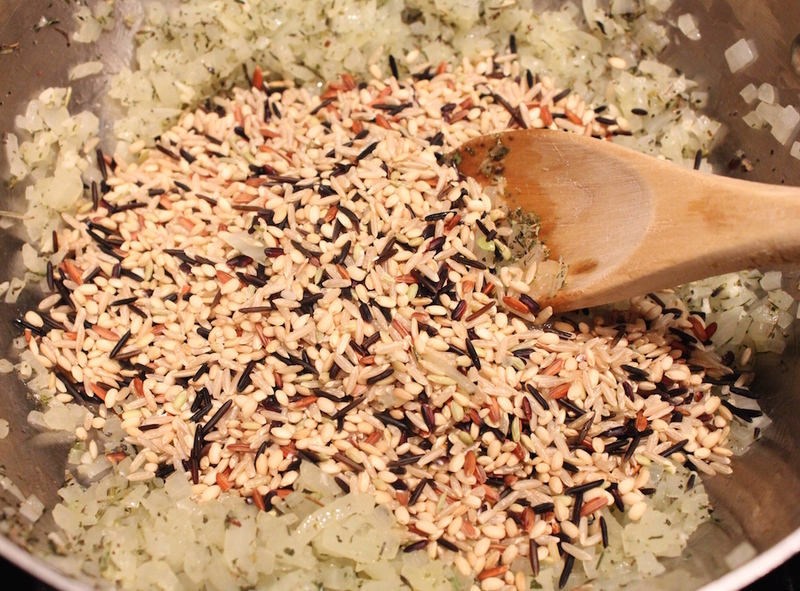 Whole Foods sells a wonderful wild blend rice mixture in the bulk food aisle that consists of long-grain brown rice, sweet brown rice, wild rice bits, Wehani brown rice and black Japonica brown rice, which make a most interesting Rice Pilaf. The different types of rice give this rice pilaf complex and nutty flavors and a range of textures, from al dente to soft. If you prefer to use only one type of rice or can’t find a multi-grain blend, substitute a long-grain rice. Rice pilaf starts on the stovetop and finishes in the oven. 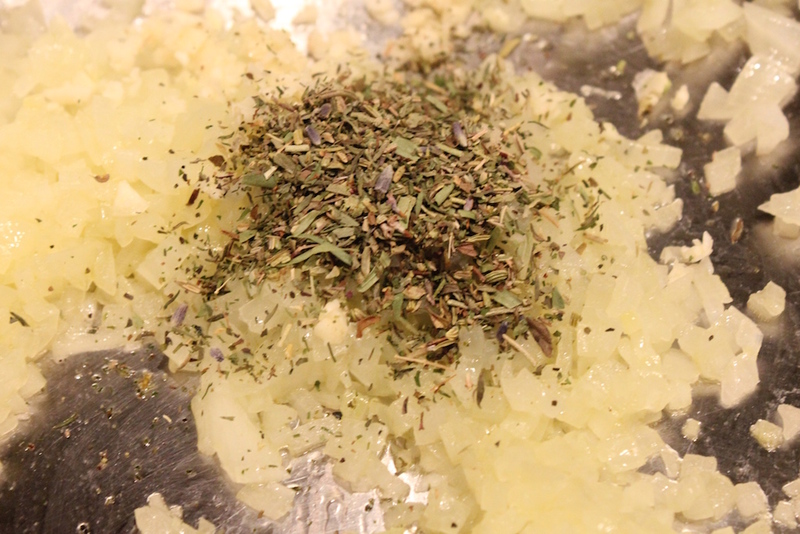 The aromatics are sautéed first and then the rice is added and browned in the oil for a few of minutes until fragrant. Finally stir in a flavorful liquid and bring to a boil. Pop this into the oven and bake, until the liquid has been absorbed, about 45 minutes; don’t uncover before then or you release the steam needed to cook the rice. Heat the oil in a medium-sized covered, ovenproof pan over medium heat. 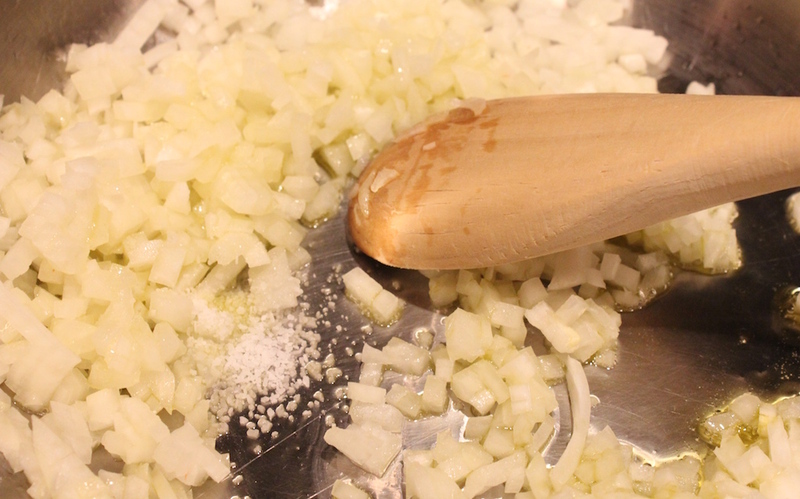 Stir in the onions and salt, cover and sweat for five minutes, stirring once. Stir in the garlic and herbes de Provence and continue cooking 30 seconds. 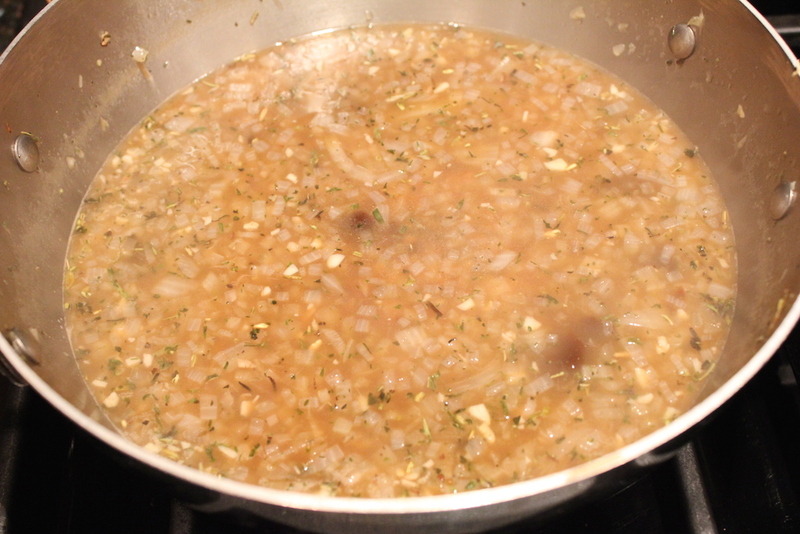 Add the rice, stir to combine, and continue cooking and stirring until fragrant, about two minutes. Add cooking liquid and bring to a boil, stirring occasionally. Cover and bake until the liquid is absorbed, about 45 minutes; don’t uncover before then or you release the steam needed to cook the rice. Stir and let sit five minutes in the oven, heat off. 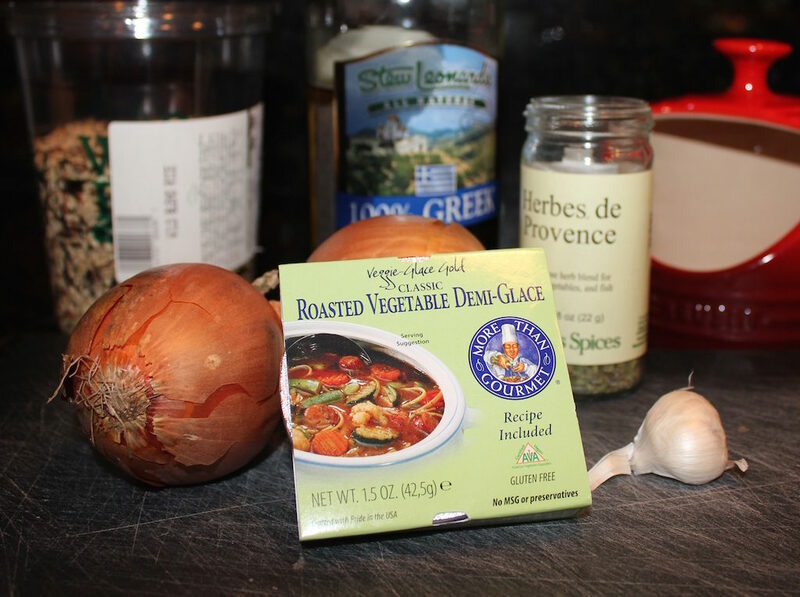 Stir in the garlic and herbes de Provence and continue cooking 30 seconds. Add the rice, stir to combine, and continue cooking and stirring until fragrant, about 3 minutes. Cover and bake until the liquid is absorbed, about 45 minutes; don’t uncover before then or you release the steam needed to cook the rice. Stir and let sit five minutes in the oven, heat off. If you prefer to use only one type of rice or can’t find a multi-grain blend, substitute a long-grain rice.